Mississippi evolved from Adelaide folk-rock band called Alison Gros, a trio consisting of Graeham Goble, Russ Johnson and John Mower. Alison Gros recorded one independent single ("Naturally" / "Would You Really Have To Go?") on the Gamba label in 1970. 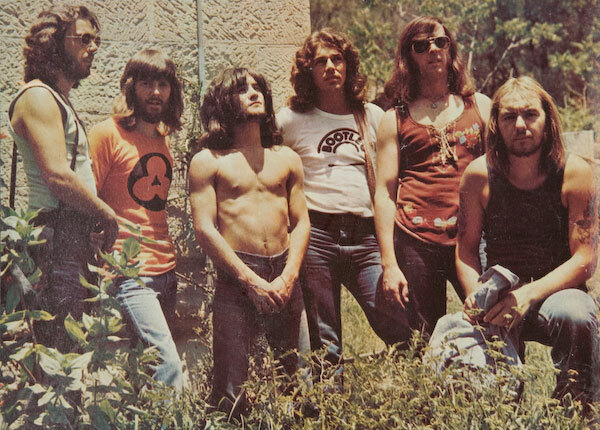 The band then moved to Melbourne and signed to Ron Tudor's Fable Records, for whom they cut two more singles in 1971, "If I Ask You" / "So Good" (July) and "All The Days" / "Weaver Of Life" (December). Their next recordings for Fable is a genuine oddity of Australian rock. Under the pseudonym Drummond, the members of Alison Gros cut a novelty 'chipmunk' versions of the '50s rock'n'roll classic "Daddy Cool", which was released in July '71. It was a shameless cash-in on the success of Ross Wilson's new band Daddy Cool, whose own version of that song was included on Daddy Cool's hugely successful debut album. Riding in on the coattails of DC's chart breakthrough, the Drummond version of the song actually knocked Daddy Cool's huge #1 hit "Eagle Rock" off the top of the charts and, inexplicably, became one of the biggest hits of the year, charting for 22 weeks (a fact Ross Wilson sarcastically referred to when introducing the song during Daddy Cool's farewell concert in 1972, captured on DC's The Last Drive-In Movie album). Fable went on to release three more singles under the Drummond pseudonym, but these were apparently recorded by anonymous studio musicians and the members of Alison Gros were not involved. LEFT: the original trio incarnation of Mississippi (L-R) Graeham Goble, John Mower, Russ Johnson. In early 1972, Alison Gros changed their name to Mississippi. They recorded their excellent self-titled debut LP with the addition of session players Peter Jones (piano), Geoff Cox (drums), Barry Sullivan (bass, ex-Chain) and Graham Lyall (flute). It was released in September that year on Fable's new Bootleg imprint, a subsidiary label recently set by Tudor and musician Brian Cadd. 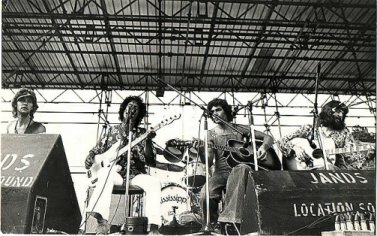 The Mississippi album showcased the band's considerable vocal abilities and Goble and Johnson's strong writing skills. The material and the tight harmonizing showed the influence of groups like The Hollies, The Bee Gees, Crosby and Stills, Nash & Young. Their debut single "Kings of the World" (released in July) became a Top 10 hit in October. With their album and single now critical and commerical successes, the band decided to begin touring in support of the LP in late '72. Needing a singer and bass player for the touring band, Graeham Goble decided to contact Beeb Birtles, formerly bassist with Zoot), whom he knew from his Adelaide days. After Zoot split, Beeb had formed a shortlived duo called Frieze with Daryl Cotton. After that project folded he went to work for the AMBO booking agency, and it was here that he got a call one day from Graeham Goble. When they met, Goble played the new LP to Beeb, and he was knocked out by what he heard; Goble in turn was greatly impressed by Birtles' ability. Although Beeb had by then switched from bass to guitar, Gobles invited him to join the band. According to Birtles, the rest of the band objected, but Goble threatened to quit unless Birtles was hired. Beeb bought a new bass and auditioned with the group, but the lineup was completed first by an unknown bassist (who was soon replaced by Colin Deleuca, ex-Fugitives), and drummer, Derek Pellici (ex The Ash). In December '72 they issued a second single, "Mr Moondog" / "All Through The Day". One of the group's important early appearances was their set at the 1973 Sunbury Rock Festival in January, where they were backed by a full orchestra. Graeham Goble has assisdously kept a diary throughout his career (now totalling over 1900 live performances!) and happily this means he has a virtually complete record of all Mississippi's live gigs, which can be viewed on the Live Shows page of his official website. Over the next two years Mississippi worked solidly in pubs, clubs and discos all over the country, and although they never achieved the commerical success they deserved, it was a formative period for Graeham Goble, who wrote and first performed many of the songs that he later recorded with such success with LRB, including "It's A Long Way There". There were several more lineup changes, beginning in February 1973 when Russ Johnson left to join Country Radio; he was replaced for a month by Kerryn Tolhurst (who had himself just left Country Radio). When Tolhurst left to form The Dingoes he was replaced by Harvey James. Their next single, "Early Morning" / "Sweet World" was released in July '73, and in October they supported The Jackson Five on their Australian tour. When the tour ended, Deleuca and Mower both left the band. Deluca was replaced first by bassist Andre Santos, then by Charlie Tumahai (ex- Healing Force, Chain, Friends) in December. Right: Mississippi in action at Sunbury in 1974. (L-R) Harvey James, Charlie Tumahai, Beeb Birtles, Graeham Goble. The band made their second appearance at Sunbury in January 1974. Regrettably, they never got the opportunity to record another album but they were able to cut two more fine singles. 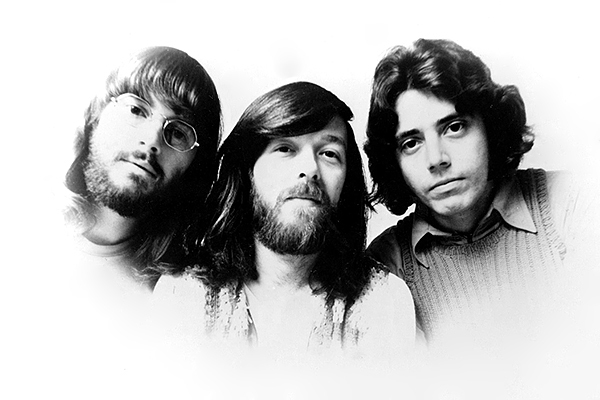 Their penultimate single, "Early Morning" was co-written by Russ, Graeham and Beeb. The last single was a recording of a live favourite "Will I", a song Beeb had co-written with Daryl Cotton just after the demise of Zoot; its B-side, "Where In The World" was the very first collaboration between Beeb and Graeham. It was released in early 1974, and made the Top 40 in May 1974. According to Birtles, the band was disappointed by the lack of support in Australia, and encouraged by interest in the album, which had been released overseas, they decided to try their luck elsewhere and left for a tour of the UK in April that year. As Beeb ruefully recalls, it was a disaster;the band were booked into "the worst disco gigs" and made no headway whatsoever. They split within a matter of months, virtually broke and greatly disheartened. Fortunately, Goble and Birtles had pre-paid six months' rent on their London house, so Goble left for Europe with his wife for a long-postponed honeymoon, and Birtles and Pellici took day jobs to save their fare back home. Harvey James returned to Australia in June and subsequently joined Ariel. A new single, "When You're Old" / "Do I?" was released in Australian that month, and Fable combined the first four a-sides on the Will I? EP which was released in August. Charlie Tumahai hung on until the end of the year; he subsequently joined guitarist Bill Nelson's Be Bop Deluxe. Glenn Wheatley: "I wanted to come back to Australia and I had a vision of setting up a band that I could take on for the world ... I was hitching my way home from London but I went down to see Mississippi at the Fulham Palace Hotel and they blew me away ... Thye approched me and said, 'Glenn we'd love you to manage us.' I said 'If you want to come back to Australia and base yourself there I'd be happy to do it.' I did give them on piece of advice though. I said, 'I think you need a lead singer,' and I suggested Glenn Shorrock. I set up the three of them together, just to see how they could harmonise, and it was magic. It was the most amazing afternoon." 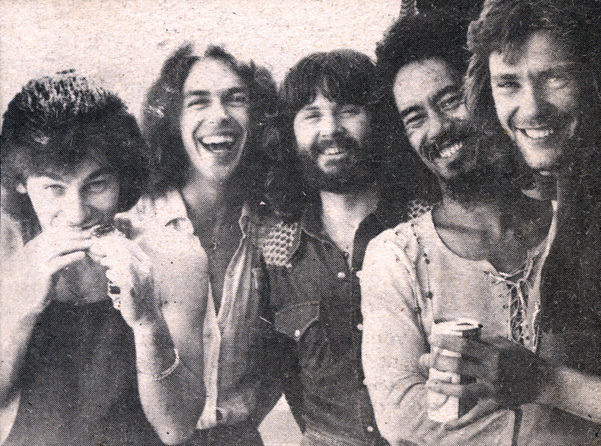 They all returned to Australia over the next few months and reunited in January 1975. They put together a new lineup, adding classically-trained guitarist and arranger Rick Formosa and bassist Roger McLachlan and began gigging. For the first few months they performed as Mississippi, but on the way to one a gig in Geelong, Victoria, they decided to change the name to The Little River Band, which they took from a signpost along the road. The rest is History - under the guidance of Wheatley LRB were the first Australian band to successfully break through into the American market, and became one of the greatest international successes in Australian music history. Founding member Russ Johnson died in Adelaide on 15 September 2007 after suffering a stroke. "Mr Moondog" / "All Thru The Day "
"Early Morning" / "Sweet World"
"Will I?" / "Where In The World"
"When You're Old" / "Do I"
"Kings Of The World" / "Mr Moondog" // "Early Morning" / "Will I?" 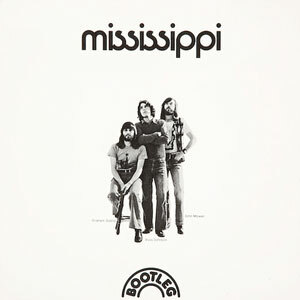 The Mississippi album was re-released on CD by EMI in 2001. It has a different cover from the original but according to Graeham Goble it appears to be mastered from the original tapes.